Superstitious is the latest fragrance from Frédéric Malle, created in conjunction with the great couturier, Alber Elbaz. 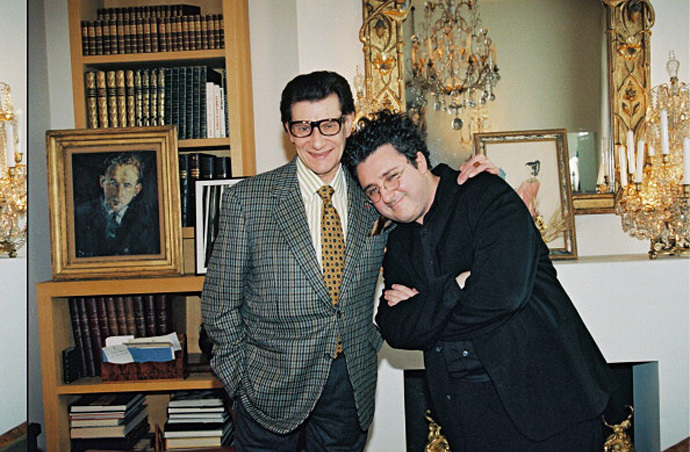 Monsieur Elbaz is perhaps best known for his stunning work at Lanvin in the 2000s, but what is less well-known is that he had his start when Yves Saint-Laurent‘s partner, Pierre Bergé, handpicked him in the late 1990s to take the helm of that august fashion house where he successfully carried on the Maestro’s style, albeit with his own twist. Alber Elbaz’s signature, The Little Black Dress, for Lanvin. Collage: my own, from photos via Pinterest and Vogue Paris. At first glance, this might seem to be nothing more than an irrelevant factoid or bit of biographical background, meaningful only to those of us, like myself, who continue to worship Monsieur Saint Laurent (a god, a total fashion god!) because, let’s face it, there is usually no olfactory connection between a couture house’s design style and how their perfumes actually smell. Superstitious, however, is a rare exception. You could have knocked me over with a spoon when I tried it because the early hours of the scent reflect not only Monsieur Elbaz’s sleek, bold, streamlined, seamless, and incredibly sophisticated personal design aesthetic but also, and above all else, the Yves Saint Laurent olfactory signature as exemplified by its early floral-aldehydic fragrances like (vintage) Rive Gauche and Y. Superstitious was intentionally created to be both vintage and modern in feel, but where it stands out for me is in its early hours when it is a perfect rendition of the grand old style of the YSL classics. I’m unenthused by the fragrance’s second chapter when the Ropion olfactory signature kicks in and Superstitious dissolves into something wholly modern, structureless, and excessively clean, but those early hours were the boldest that I’ve seen from a Malle fragrance in a long, long time. Patchouli, how I love thee. Let me count the ways: spice, chocolate, woods, tobacco, smoke, earthy glows, and golden warmth, you’re such a thing of beauty in my eyes and your intoxicating richness may run through as much as 70% of my fragrance collection. So, I was thrilled to hear that Frederic Malle was going to focus on one of my favourite notes for his newest fragrance, Monsieur. Not the hideous, purple-skewing fruitchouli gunk that makes up so many modern fruity-florals, but on the real thing. Unfortunately, Monsieur ended up being a fragrance that this “Patch Head” wouldn’t wear under any circumstances. A clean scent, yet surprisingly magnetic. A modern yet traditional Eau de Cologne that lasts forever. Dominique Ropion embraces musk’s nature as both a quasi-aphrodisiac and a scent of purity to create a very personal interpretation of Eau de Cologne. 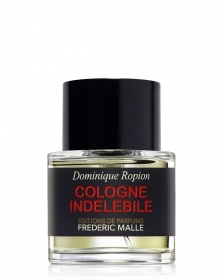 A splash of the best neroli intertwined with orange blossom, bergamote, and the most technical musks for a scent that endures, and endures, and endures… Cologne Indélébile (Permanent Cologne). Winter is in full swing in the Western hemisphere, so Frederic Malle‘s L’Eau d’Hiver by Jean-Claude Ellena seemed like a suitably symbolic choice for today’s review. It is described as a watercolour that intertwines water and coolness with softness and warmth. What struck me was the exquisitely delicate opening that felt like an olfactory visual that captured intangible senses of atmospheric light and quiet moods, and turned them into concrete form. Painted in translucent colours, the opening somehow manages to encapsulate Zen-like serenity, silence, and elegance in a way that makes the perfume as a whole far more than a mere collection of notes, far more than the sum of its parts. Again and again, the words which came to mind were “hushed breaths” and “translucent light.” The overall effect is more of a feeling than just a perfume. I’m not one of Jean-Claude Ellena’s fans and his minimalism usually leaves me cold, but the opening of L’Eau d’Hiver truly impressed me and leaves no doubt as to his technical mastery or brilliance. If only it had lasted….